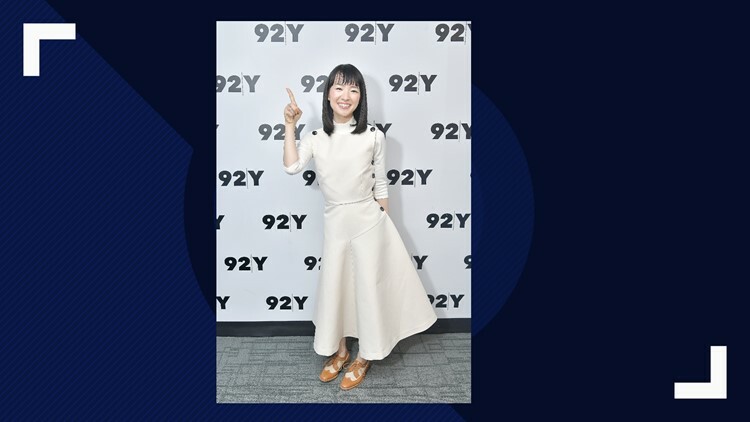 Author and series host Marie Kondo poses before taking part in Netflix's "Tidying Up With Marie Kondo" screening and conversation at 92nd Street Y on January 08, 2019 in New York City. If you watched Marie Kondo's Netflix show 'Tidying Up,' you might want to get rid of a bunch of stuff cluttering up your house that doesn't make you happy. Here are some organizations that will help you with that. DENVER — Chilly wintry weekends are ideal for Netflix, and if your binge included Marie Kondo’s Netflix show “Tidying Up,” you’re not alone. And that’s where thrift stores and used book stores have reaped the benefit of the latest Netflix craze. There are numerous national stories out there claiming there’s empirical evidence people are giving their stuff up at a higher rate, all thanks to Kondo and her basic philosophy. To make it easier for you, we have a list of local organizations that are willing to take those things that don’t give you joy and give it to people who will experience happiness from them. Arc is a Colorado-owned and operated non-profit that benefits Coloradans with intellectual disabilities. It accepts gently-used clothing and household items. If you have stuff in your garage that will never turn into an actual project, Bud’s Warehouse will take it. In exchange, the nonprofit uses the proceeds to help individuals rebuilding their lives from addiction, homelessness and prison. Items you can donate include cabinets, carpet, light fixtures, windows and more. Clothes to Kids Denver accepts gently used clothing that is age appropriate for youth and teens. This organization provides new and quality used clothing to kids in the Denver metro area free of charge. One way to ensure your furniture, household items and clothes go to people who truly need it is to give them to the Denver Rescue Mission. Dress for Success helps women find careers that help them succeed, and part of that involves getting them clothes that help them look the part of true professionals. This is an obvious one, but that doesn’t mean it’s not worth a mention. Goodwill provides education and career development to Coloradans in need … all while taking those clothes and furniture that no longer give you joy. Habitat for Humanity helps build houses for people in need and is always accepting furniture, cabinets, appliances and more. The Impact Store at 2526 Welton St. helps clothe people experiencing homelessness as well as give them well-fitting outfits for job interviews. This organization is especially looking for men's clothing and warm weather gear. The Parker Secret Closet gives teens free gowns and accessories for formal occasions, as well as tuxes. This means you can also ditch that bridesmaid gown that you paid $300 for and only wore once. This organization was started by two Denver metro area sisters some 20 years ago. Every prom season, girls in need get to check out a selection of dresses and if they like one, they pay $10. You don’t just donate prom dresses. The Prom Dress Exchange accepts any sort of formal dress, gently worn dress shoes and accessories. Clothes aren’t the only joy-less things that might be cluttering up your home. You might have used musical instruments, arts and crafts, wood and more that you could just throw away … but why not give it to artists to make something great instead? The Salvation Army accepts clothes, furniture and appliances to help people in need. This organization collects baby gear and gives them to people who can’t necessarily afford it. If you have clothes belonging to infants and toddlers 0-3, you can leave it at numerous drop-off locations in the Denver metro area. Urban Peak is an organization that helps youth between ages 15 to 24 who are experiencing homelessness or are at risk for it. The thrift shop affiliated with it helps employee Urban Peak youth as well as give them a place to shop. It accepts clothing, books, DVDs, small furniture and houseware. Are there any nonprofits we're missing? Shoot me an email at allison.sylte@9news.com and I'll add them to the list!